You’re running short on time, or you’re not really into shopping. These are the places that will get you set up with the basics and on your way. Whether an afternoon in a dusty bookstore is your idea of bliss, or if you’re looking for that as-yet-unknown just-right item or deal, these are the places with plenty of nooks and crannies filled with whosits and whatsits. You don’t want to grab something off the assembly line, but you don’t want to dig through endless racks, either. These are the places that offer hands-on assistance or small, curated selections—so you might take only three items into the dressing room, but you’ll leave with something that feels like it was made for you. If you’re looking for the standard mall experience (with an outdoor twist), The Gateway (18 N. Rio Grande St., 801-456-0000, ShopTheGateway.com) is the way to go. Affordable options for the whole family abound, from PacSun and Wet Seal to Old Navy and Famous Footwear. And with plenty of eating options, plus a movie theater, planetarium and children’s museum, any leftover allowance money will be put to good use. There’s always Deseret Industries (DeseretIndustries.LDS.org)—basically, LDS Church-owned thrift stores where you can buy pretty much anything at a rock-bottom price—but for a more curated selection of used clothes and accessories, head to Pib’s Exchange (1147 E. Ashton Ave., 801-484-7996, PibsExchangeOnline.com), which specializes in recent fashions on a college-student budget. If you’re looking for something a little more upscale or specific, Decades (627 S. State, 801-537-1357) has a huge selection of high-quality fashions and accessories from the past 100-plus years—whether you’re looking for a pristine leisure suit to wear to a throwback wedding or a pair of vintage kitten heels to bring luck to a first date. Finally, Carrie Bradshaws on a budget can find gently used Manolo Blahniks at Name Droppers (3355 S. Highland Drive, 801-486-1128; 2350 E. Parleys Way, 801-474-1644, ShopNameDroppers.com), which has a can’t-miss close-out clearance sale at the end of each month. Though it’s massive enough to provide days of browsing, City Creek Center (50 S. Main, 801-521-2012, ShopCityCreekCenter.com) is also home to enough unique options that one can zero in on a store to find a seemingly one-of-a-kind splurge. The Nordstrom is the only one in the state to offer a Gucci boutique, and the mall is also home to Tiffany’s, Rolex and Brooks Brothers—and the home-grown yet decidedly upscale Chalk Garden Co-Op is right across the street (74 S. Main, 801-364-4032, ChalkGardenCo-Op.com). For a smaller boutique experience, the 9th & 9th neighborhood is home to Koo de Ker (1037 E. 900 South, 801-359-4870, KooDeKer.com) and Fresh (870 E. 900 South, 801-532-3458)—both specializing in fashion-forward looks for guys and girls—as well as Apartment 202 (955 E. 900 South, 801-355-0228, Apt202Boutique.com), which is the place for classic, timeless sweaters, dresses and earrings; and The Children’s Hour (898 S. 900 East, 801-359-4150, ChildrensHourBookstore.com), which sells sophisticated pieces for women and girls that will never go out of style. Purse Dreams (1065 E. 900 South, 801-355-3550, PurseDreamsSLC.com) offers a concentrated selection of high-quality handbags that you won’t find elsewhere in town. A few blocks away, Tempest Couture (1301 S. 900 East, 801-486-1188, TempestCouture.com) offers more daring looks for men and women, and Joli (1594 E. Stratford Ave., 801-971-1935, JoliSLC.com) in Sugar House and Bella Forte (1400 Foothill Drive, 801-583-0997, BellaForteBoutique.com) in Foothill Village have a small, top-notch selection of women’s fashions—from name-brand jeans to little black dresses—and experienced staffers who will ensure that you walk into the dressing room (and out of the store) with only the best. The dining room needs a buffet from a particular era, and the bedroom is crying out for a perfect red lamp. Fear not: The used furniture and housewares at Emilie Jayne (801 S. 800 East, 801-359-3356) are helpfully sorted by color, while Now & Again consignment (207 E. 300 South, 801-364-0664, NowAndAgainSLC.com) adds photos of new mid-century pieces to its Facebook page almost daily. Details (1987 S. 1100 East, 801-364-8963, DetailsComforts.com), meanwhile, has a highly curated selection of new furniture, custom bedding and home décor. You’re craving a day of sifting through trinkets, or you’re on the hunt for 12 uniquely perfect dining chairs. The only cure is starting the day at Euro Treasures (470 W. 600 South, 801-364-6390, EuroTreasures.com)—an 87,000-square-foot, two-floor labyrinth of European furniture, African collectibles and a “sea of chairs” on the second floor. Then, Abode (959 E. 3300 South, 801-486-2633, AbodePFM.com) has a fun and funky collection of furniture and accessories, plus records and more. You’ll likely find something you didn’t know you were in the market for—vintage Coca-Cola signs, perhaps? 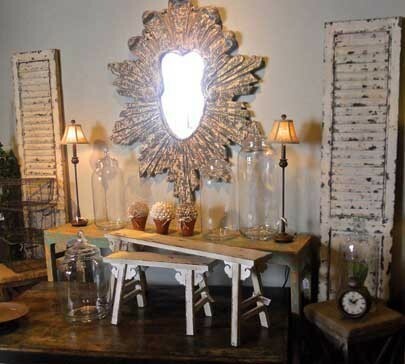 And with two locations, Home Again (1019 E. 2100 South, 801-487-4668; 7490 S. Holden St., Midvale, 801-255-5457, HomeAgainConsignment.net) offers a huge selection of vintage and modern consignment pieces, hand-picked by the picky owners. You’ve got something specific in mind for your dining room—but you’re not quite sure what it is. The Old Flamingo (3474 S. 2300 East, 801-274-3474, TheOldFlamingo.com) is no ordinary used-furniture store; 17 furniture artists lend their talents here, giving new paint, patterns and styles to classic chairs, dressers and more. Downtown at The Green Ant (179 E. 300 South, 801-595-1818, TheGreenAnt.com), you’ll find a small but perfect selection of mid-century modern furniture that’ll make a design aficionado out of you. Want a rustic bed made from reclaimed wood that looks like something Ryan Gosling’s character in The Notebook built with his bare hands? 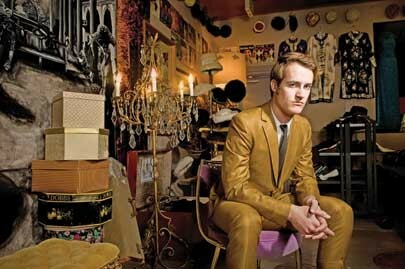 It’s not a fantasy; it’s the “furniture with soul” of C.G. Sparks (454 S. 500 West, 801-519-6900, CGSparks.com). 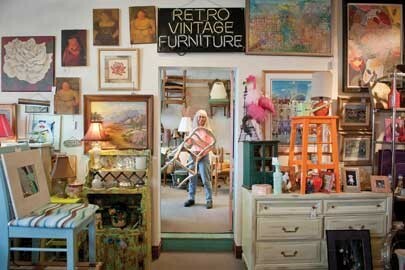 And if your style leans a bit funkier, $99 Furniture Outlet (711 S. 300 West, 801-355-8000, 99FurnOutlet.com) has a brightly colored blend of retro-inspired designs and custom pieces. It’s going to be a long weekend at the in-laws’ house—unless you tote along an absorbing read that’ll keep your attention off the goading comments. While book lovers could spend hours in the corners of the cozy King’s English Bookshop (1511 S. 1500 East, 801-484-9100, KingsEnglish.com), the well-organized store and helpful booksellers make it a snap to pick out your new favorite novel—whether it’s a best-seller or an under-the-radar classic. Marissa’s Books & Gifts (5664 S. 900 East, Suite 8, Murray, 801-262-2873, Facebook.com/MarissasBooks) and Central Book Exchange (2017 S. 1100 East, 801-485-3913, CentralBookExchange.com) both have large selections of used paperback and gift books, so you can stock up on Agatha Christie paperbacks or make good on your goal to read the full Terry Pratchett bibliography. To a book lover, the smell of paper, glue and dust is as comforting as the scent of home-baked cookies. Utah Book & Magazine (327 S. Main, 801-359-4391) provides a feast for the eyes as well: Shelves reach to the ceiling, and every corner you turn reveals another stack of ancient hardcovers or vintage pulp novels. Just down the street is Eborn (254 S. Main, 801-359-0460, EbornBooks.com), a two-story wonder with a focus on rare LDS titles—but there are also plenty of used fantasy, mystery and young-adult titles. Ken Sanders Rare Books (268 S. 200 East, 801-521-3819, KenSandersBooks.com) is the place to shop for a book collector—yourself or someone else. Beyond the typical arranged-by-subject organization, the shop has several different areas designated for specific kinds of books—leather-bound, first-edition, modern classics, author sets and beyond. 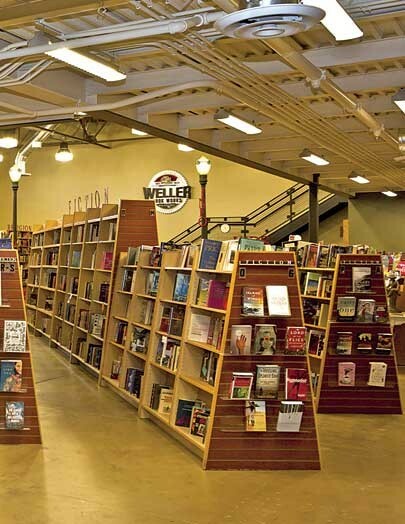 When you’re in need of a recommendation or quirky title, the large staff of Weller Book Works (665 E. 600 South, Trolley Square, 801-328-2586, WellerBookWorks.com) can help you find what you’re looking for among their seemingly endless stacks of new and used titles. And serious book collectors should find their way into Red Queen Book Arts (171 E. 300 South, 801-241-8191, RedQueenBookArts.com). The small shop specializes in Lewis Carroll works and illustrated and decorated books, and is open only “by chance.” While the selection is too small to really browse for more than a few moments, speaking with Red Queen by appointment will help you on your way to finding a beautiful, perhaps one-of-a-kind more-than-a-book.